A Note about Work: I am taking the Work blog in a different direction as it becomes more obvious every day that our economy and our work experiences are also shifting. In our parents’ and grandparents’ generations, working was about finding a good company, staying there for decades, and getting out with whatever the retirement package the organization offered. While this is still true for some (e.g. public school teachers and police officers), more of us are spending at least some portion of our work lives without the comfort of a paycheck. Instead, we have to spend some time, either by choice or by necessity, figuring it out for ourselves and earning some of our money in other ways. Our employment relationships are more contractual and much shorter-term. It is with that understanding and the experience from my own entrepreneurial efforts that I am adding this dimension to the blog. While there will still be a lot of useful information (at least I hope that you think so) about job hunting and career management, this extra element will make the blog more reflective of the experiences that my clients, my colleagues and I share. My hope is that you can learn from them and me, both copying the wins and avoiding the mistakes. Please share your reactions and ideas. I recently worked with someone who wanted me to review some of her work and possibly make some improvements and changes. She mentioned several times that she was willing to pay me for my time. Upon reviewing her material, I realized that it was already very good and that there was very little that I could do to make it much better. Maybe a tweak here and a little polish there, but that was about it. I told her what I thought, gave some advice for free and moved on, thanking her for the opportunity to help. I am not sharing this to make you think that I am a saint, ready to work for free and give away my services. Instead, I share this because there is more to the story. Because of my decision, this potential client went public with the story and gave me a solid recommendation on a huge social media site. I also know – at least with some certainty – that if she ever has the opportunity to refer someone to me, she will. Consider the value of the good will that you can earn by doing something for nothing. Whether it is in your own gig or while working for others, sometimes some free advice, a little extra effort with expectation of reward, and a “thanks for thinking of me” can pay bigger dividends than a few dollars in the bank. Staying motivated in the search for a new job, especially during times of unemployment, can be one of the biggest challenges in the process. After all, who wants to hear “no” all the time, or worse – nothing at all? Sending out résumés and cover letters for jobs for which one is perfectly qualified and not getting a reply can wear out even the most resilient job seeker. What can you do to stay engaged and motivated? Here are a few tips. Make a Plan for your Day. Whether you create tomorrow’s plan in the evening or start early with a planning session, make a list of the things that you need to accomplish. Don’t stop until you have completed your list. This will give you a sense of accomplishment and something to talk about if there is a significant person in your life who wants to know what you have been doing all day (can you say “spouse”?). Eliminate the Distractions. While it can be tempting to kill time in front of the TV or with social media sites, set a time limit for these activities and stick to it. If 30 minutes a day is your Facebook budget, don’t stretch it to 35. Get out of the House. Get your exercise, shower, dress and go meet people. Get out to the job fairs, meet colleagues for coffee and stay tuned in to the current events in your field. Challenge Yourself to Add to your Network. Your network should include recruiters – both recruiting agency people and staff recruiters – as well as people with whom you have worked and those that you don’t know yet. Attend as many live events with other people as possible. Don’t Stop with LinkedIn Messages. Anyone can build a network on LinkedIn, but if it is nothing more than a list of people and their pictures – a list of people you don’t know – you have not done enough. Pick up the phone. Send a personal note. Make the connection more meaningful and valuable for you and the other person. You will be surprised at how warmly some will welcome the extra effort. Learn Something New. Public libraries, state departments of labor and other organizations give you the opportunity to learn new skills and meet new people, mostly for free. Explore the opportunities and sign up. Volunteer. You can add new things to your résumé and meet people while helping others. Don’t discount the value of this activity. Finally, don’t be too hard on yourself. If you have been doing all of these things and know that you are working as hard as you can to find a job, feel good about your effort. It’s a challenging labor market filled with wary hiring managers and senior leaders trying to chart a course in an uncertain environment. Don’t take it personally and keep at it. When I was growing up in Dobbs Ferry (NY), an important activity for almost every boy I knew was collecting, trading and competing for baseball cards. Topps was all we knew, and every new season offered a new quest for collecting the whole set. We would trade our doubles, search hard for the best players, and sometimes risk it all with flipping and scaling cards. The scaling option, in which players compete to scale cards to be closest to the wall, was usually a bad one. It was a game of skill and there were a few guys who couldn’t be beat. If you were going against Joe Giuliano, you could save everyone lots of time by just handing him your cards and moving along to your next class. He was that good. Watching him play was like watching a machine. Scale, grunt defeat, watch Joe take the cards, repeat. Think about your efforts. Have they been meaningful and have they led to important professional connections, creating a web of colleagues who might actually care about the relationship with you? Or have your activities been more focused on body count? If your networking is similar to that of a bunch of 12 year olds flipping Reggie Jacksons, you have some work to do. Social Media: What Are You Waiting For? Think back to a time not long ago when people used the term “computer literate” to describe themselves and their skills. Understanding how to power up a PC, attach a printer and use productivity software like Office or WordPerfect was a pretty big deal. Having this skill could give you an advantage over your competitors. Those skills are assumed now and you better have them. Remember that every kid coming out of college has been using a computer since birth. We are at that same tipping point in the use of social media. If you know how to use Facebook, LinkedIn, Quora and other sites, especially in ways that help your organization and your professional reputation, you have a marketable skill. If you haven’t taken the plunge and signed up and figured it out, you are getting lapped by the field. Think about how you are going to use these tools to stay connected. In the world of many employers and organizations, if you aren’t on line, you don’t exist. Quora: What do know? Everyone is good at something and has special knowledge to share. Get into it by following topics that interest you and post quality answers. Ask questions and give feedback to the answerers. LinkedIn: Use the site’s learning center to understand everything it can do. Start with a simple profile with a good photo of yourself (think corporate headshot, not party pics) and tell the world what you do. Start working it to find people you have known professionally and personally. 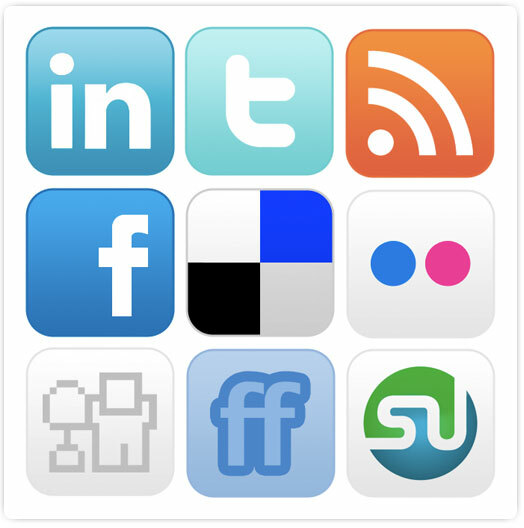 Use the site’s news feature to track industry stories and social media updates. Twitter: Stay current on topics that interest you. Send out tweets that use industry jargon and you will soon have followers. Link your Quora and LinkedIn accounts to Twitter and your thoughts will get out into the world. Author Bill FlorinPosted on July 8, 2011 Categories Facebook, LinkedIn, online reputation, Quora, social media, TwitterLeave a comment on Social Media: What Are You Waiting For? There are countless companies that want to help you manage your online reputation, but there are things that you can do yourself for free that can make a big difference. Here are a few ideas that can keep the paranoia monster at bay as you take positive action. Log in to Google Dashboard. Take control of your image by setting up your profile. Not only will you stake your claim using this important Google resource, you can specify the links that Google shows the world when they look for you. Search for your own name regularly. Using the major search sites (Bing, Google, Yahoo), search for your name and see what comes up. If there is something that shouldn’t be there, Google offers a tool to address the issue: Me on the Web (available on Dashboard). Generate positive content. Frequent and professional use of various social media sites can dilute the effect of older content that you may not like. Consider setting up a blog (like this one), use LinkedIn and Quora, or create your own website to define the conversation about you. Be Smart Online. It is easy to let your guard down and say something you may regret. Before you post it, think about how it will look or sound a year from now to a potential client or employer. Share the Love. If you see a blog or other content you like, let the author know. Link your blog or site to the ones you like. The favor may be returned with an incoming link that will raise your site and its content in search results. Do you have other thoughts or experiences to share concerning online reputation management? Feel free to share your comments and stories for all to see. Thanks for sharing!